An Ottawa Liberal MPP wants to make that post-work sunset a permanent thing, putting an end to twice yearly time changes and springing forward for good in 2020. 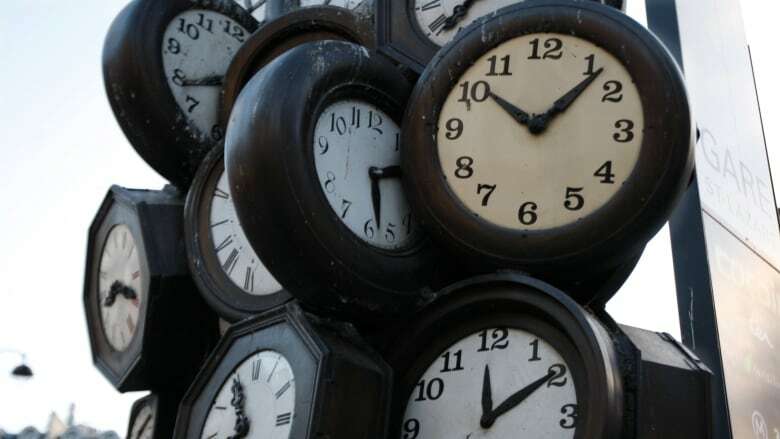 Orléans MPP Marie-France Lalonde introduced a private member's bill on Wednesday that would see all of Ontario move clocks forward in March 2020, then leave them there and skip the fall back that would otherwise come in November. In addition to ending clock changes, the switch would put Ontario permanently on daylight time, pushing sunshine later in the day. In Ottawa, this would mean that sunset on the shortest day of the year in December would move from 4:22 p.m. to 5:22 p.m., while sunrise that day would not happen until 8:39 a.m. In Thunder Bay, Ont., it would bump the sunrise back to about 9:50 a.m. in December. Lalonde is calling her bill the Sunshine Protection Act, saying it is time to do away with the back and forth of the clock. She said it causes confusion for people and is an inconvenience to businesses. "We also know there's an impact on productivity [and] sadly on our roads, there is a significant impact on the safety of our roads because of those changes," she said. She said people would like to be able to leave work for the day and still have some sunlight. "I'm hearing a lot of businesses, a lot of individuals that the return home when it's 4:30 p.m. and it's very dark affects our mental health," she said. Lalonde said there may be issues with neighbouring jurisdictions, but she notes California is pushing for a permanent change after a successful referendum on the issue and Florida is also looking at changes. Manitoba, Oregon and Washington lawmakers have introduced bills to make this change and B.C. 's premier has said if neighbouring states make the change, it could make sense for his province to do it too. Saskatchewan, except for the border city of Lloydminster, keeps the same time zone all year long, as do Pickle Lake and Atikokan in western Ontario. These changes would also switch the Pickle Lake area from eastern time to central time and the Angling Lake and Big Beaver House areas from central to eastern, as it sets a hard time zone line that currently bends for these communities. Lalonde said she hopes the private member's bill starts a conversation and that hopefully the government will get behind the idea.